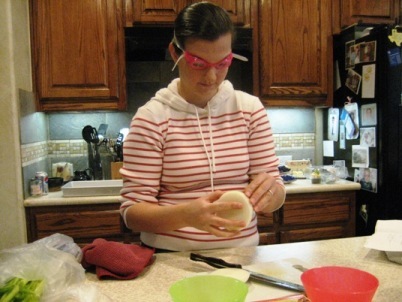 Here's my beautiful wife cutting onions on Thanksgiving morning and using her noggin' to cut down on the tears. 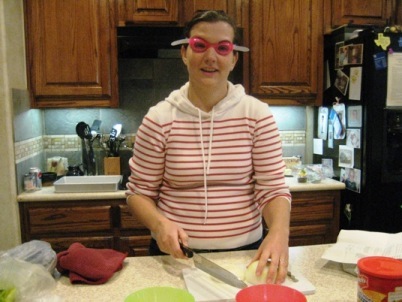 Yes ... those are swimming goggles. I have to admit, I just LOVE her ingenuity!